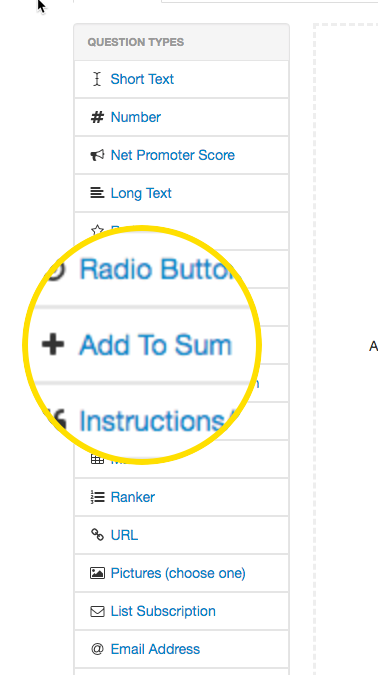 The "Add To Sum" question type allows you to present a list of choices for that they then have to allocate a point value to. This is useful in thinking about budgeting. You have a limited resource (your budget for example) and you get to allocate it across different categories (what you will spend you money on). 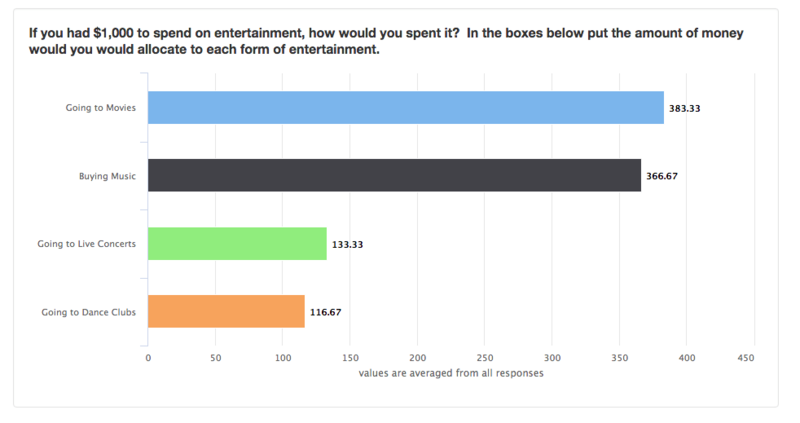 As an example, here's an Add to Sum question that asks respondents to spend $1,000 across several categories of entertainment. This way you can not only know what people's preferences are, you can see how much they prefer things over other options! 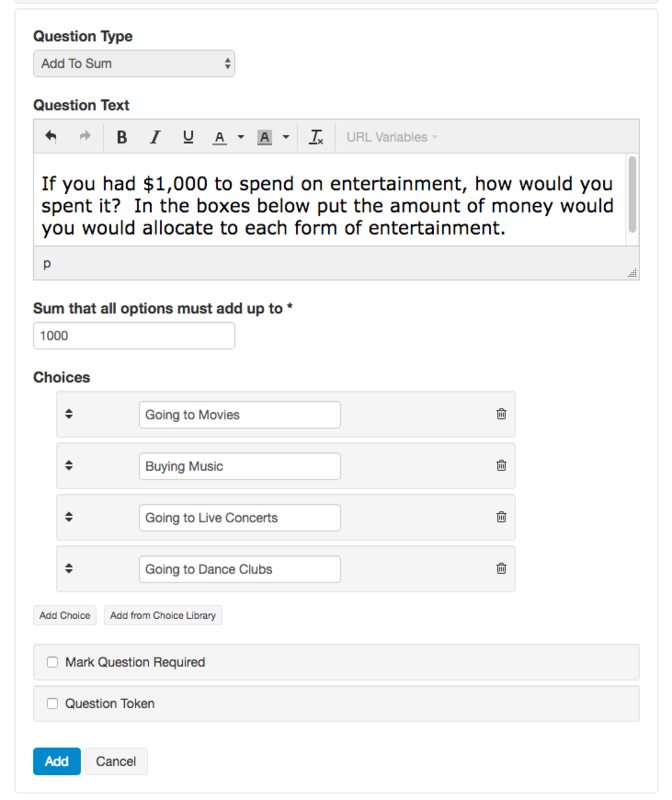 The reporting for Add to Sum question is a bar graph showing the average amount allocated to each category.